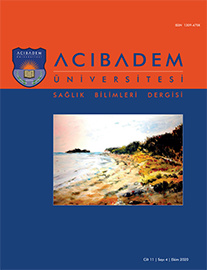 1İnönü Üniversitesi, Sağlık Bilimleri Fakültesi, Hemşirelik, Malatya, Türkiye DOI : 10.31067/0.2018.98 Objective: The aim of this study was to examine the effect of intrauterine fetal gender on mothers" level of happiness. Method: This cross-sectional study consisted of 6000 pregnant women who enrolled at the obstetric polyclinic of a state hospital. 638 pregnant women were selected using a random sampling method. The data were collected between April and June 2016 using a data collection form and the Oxford Happiness Scale. In evaluating the data absolute number, percentage, mean, standard deviation, T-test and ANOVA test were employed. Findings: The mean age for the pregnant women was 27.55 ± 5.33 and the mean score on the Oxford Happiness Scale was 122.54 ± 17.18. In this study, there were significant differences observed in age during pregnancy, education level and the gender of child desired by the womens" partners and consequent happiness scores.